Traveling alone to anywhere in the World can be an extremely daunting prospect, sometimes when you don’t know a destination but have a desire to visit that country, the desire often outweighs the fear, as a place to visit Peru and of course Machu Picchu are on most people’s bucket list. Peru and especially Machu Picchu are popular destinations and are visited by thousands of foreign tourists every year. Most people travel to Peru in couples or groups, but increasingly people are choosing to travel alone, traveling alone can be a rewarding experience, you tend to meet more people, are able to see what you want, spend as much time as you wish in places that appeal to you, the though o traveling alone is not for everyone but if you don’t mind your won company a trip to Peru and Machu Picchu maybe just the ticket, excuse the pun. Peru is perfect destinations for the solo traveler and how you choose to visit all the magnificent sights in Peru depends on your preference, whether you choose to go on a group tour or independently, both will leave you with lasting memories. 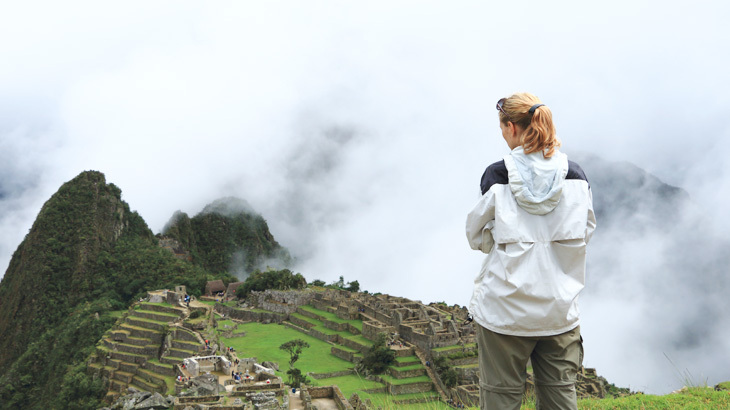 In this article, we will concentrate on the solo traveler’s journey to Machu Picchu. If you want to join a group Machu Picchu tour, you will experience the site with like-minded travelers with an experienced guide and hear all history of the Inca Citadel and will be given some free time to take photos and experience the magnificence of this spiritual place. Another way to experience Machu Picchu is on a private tour with just yourself and a guide, this way you get to ask all the questions you wish and take the time you need and discover the stories and legends of Machu Picchu. Getting to Machu Picchu for the solo traveler is simple, most people choose the train to Machu Picchu and arrive into the station of Aguas Calientes, there are several options of trains depending on your budget, the first Perurail train and the most economical is the Expedition train, a tourist train with big windows, comfy seats and several departures daily to and from Machu Picchu. A little more expensive is the Perurail Vistadome, the train features a glass ceiling, excellent leather seats and great services. But if the budget is not a problem then take the luxurious Belmond Hiram Bingham where you will receive gourmet meals and free drinks to pass the journey. The train also features an observation car where you will have unobstructed views on your journey to Machu Picchu, so if it is luxury you desire this is for you. If you are on the more adventurous side why not do some hiking to Machu Picchu. The popular 4-day Inka Trail hike maybe just what you are looking for. This hike is a rewarding experience passing through cloud forests, climbing up high passes, back down to rivers, seeing ancient ruins, camping in the Andes mountain range under the stars whilst enjoy hearty meals, all of which make for a memorable 4 days, the going is tough but the reward is worth the effort, on the last day you will trek to the Sun gate where you will see your first glimpse of Machu Picchu, the same day you will receive a 2 hour tour with you guide enjoying the legends of the spiritual Inca citadel. 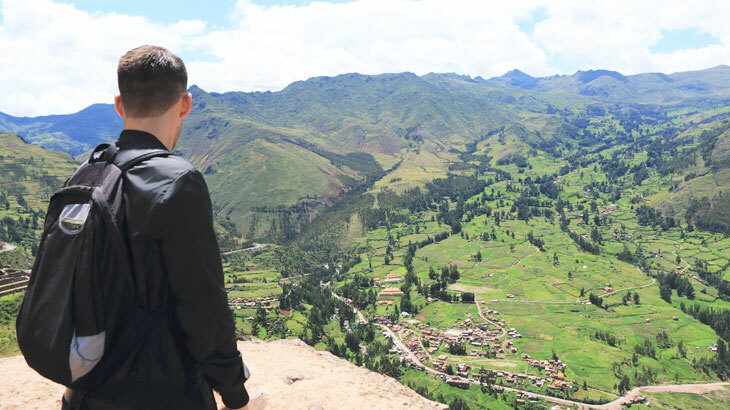 After you have finished your tour and free time to the most famous of Inca Ruins, you will have to go down to the small town of Aguas Calientes, where the train leaves to the town of Cusco. But if you have time before your train departs, why not visit the hot springs that are located not far from the main plaza, well worth a visit. Soak away your aches and pains for an hour and feel the healing power of the magical waters. 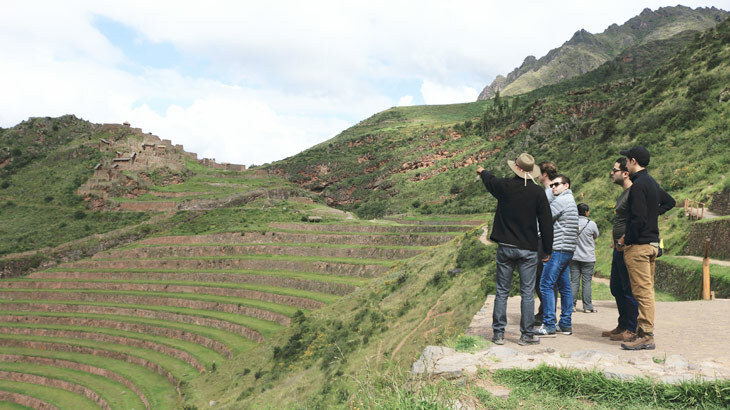 After your wonderful train ride back to Cusco, the oldest inhabited city in South America, at an altitude of 3400 meters above sea, this Inca city is a mecca for tourists from all over the world. 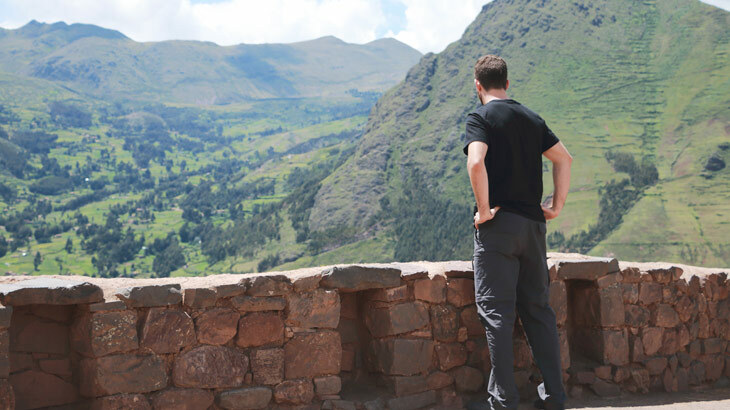 You might want to spend some time in Cusco as there is much to see and do. Explore the streets and enjoy a meal in one of the many restaurants, go to the markets and buy gifts and souvenirs for your family and friends or explore the many fascinating museums. 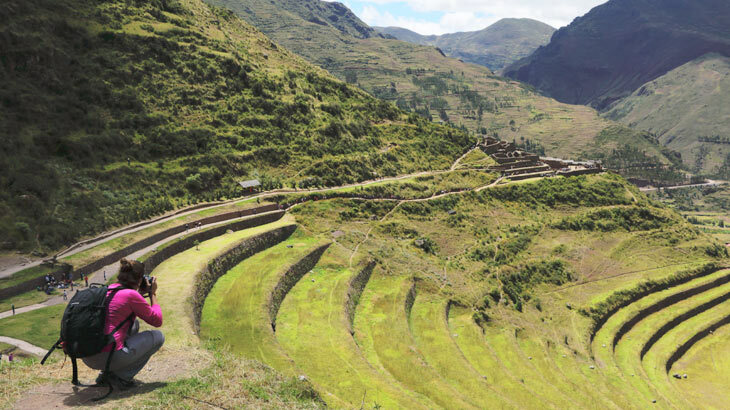 Also, not far from Cusco is the beautiful Sacred Valley of the Incas, which features many Inca sites like Pisac and Ollantaytambo. The altitude is lower and the climate more temperate, well worth a few days of your time. Peru and Machu Picchu are safe destinations for the solo traveler, Machu Picchu is a must see on any Peruvian adventure. Traveling alone can be a rewarding experience so why not book a tour to Machu Picchu and Peru today. Travel To Machu Picchu, Travel To Peru adventure, cusco, machu picchu. permalink.